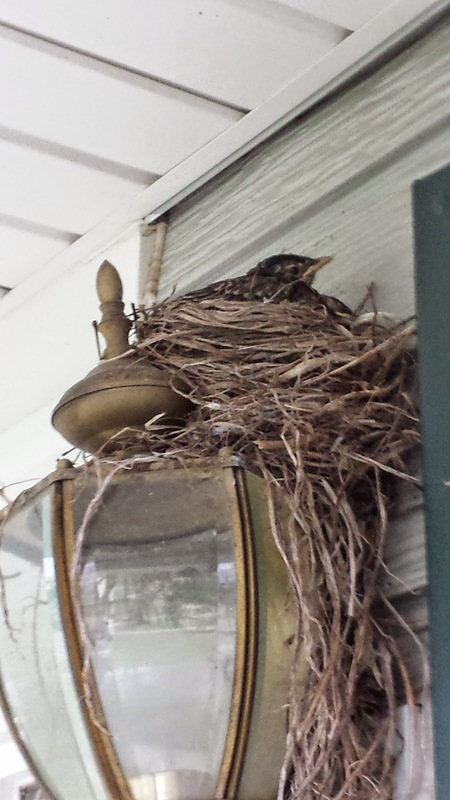 Over the past couple of weeks we watched Momma Robin sit on her nest and wait for her eggs to hatch. Then feed the newborn babies every day. 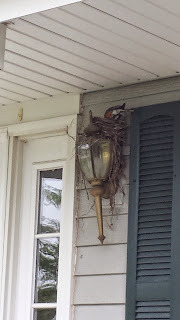 Today the tiny birds are not so tiny anymore and are one week old. 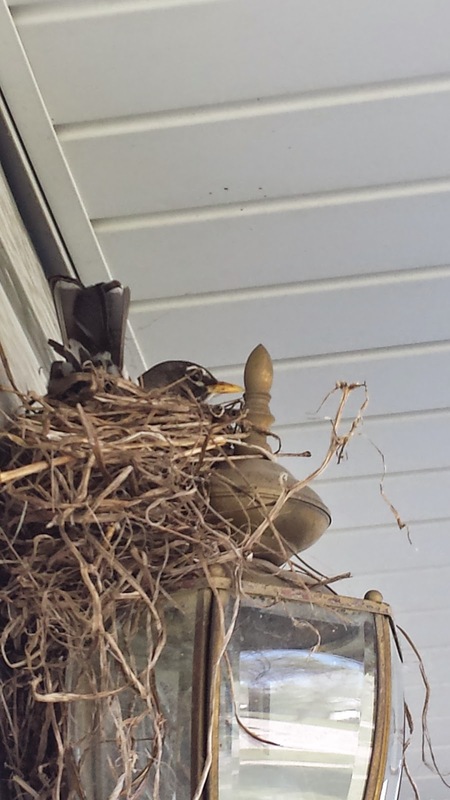 There are three birds in the nest and one of them looks like he could jump out and fly away any day now. 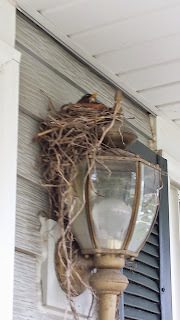 Observing the robin's nest has been a wonderful learning experience for my children. How do you teach your children about nature? 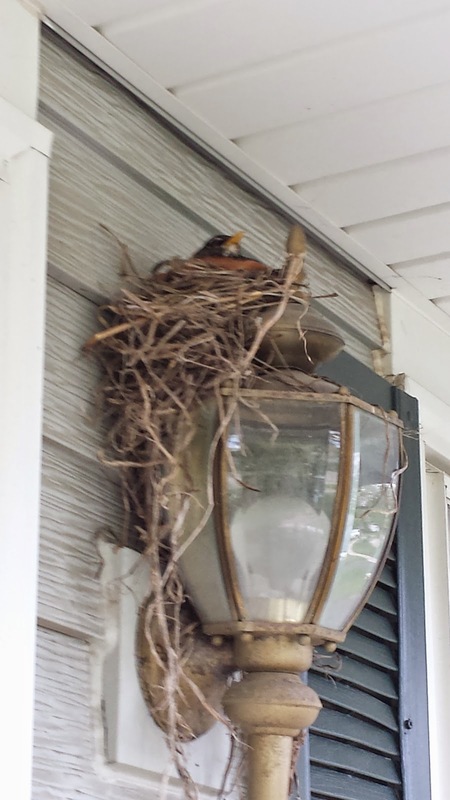 May 13, 2015 Momma Robin waits for her eggs to hatch. May 19, 2015 Momma Robin keeps her newly hatched babies warm. 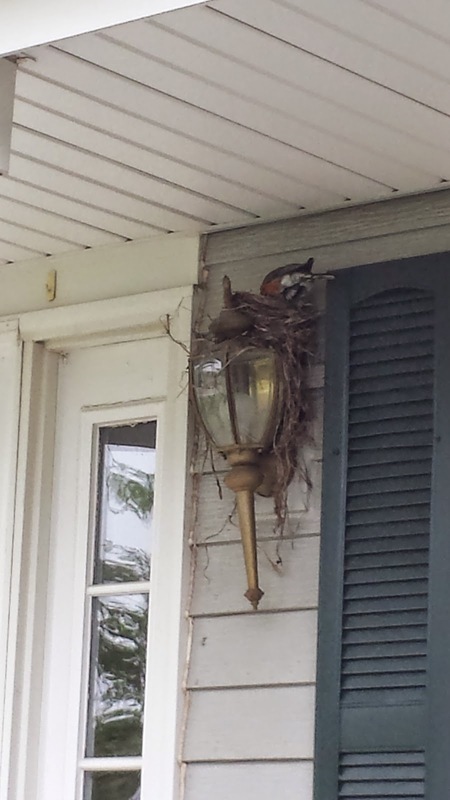 May 20, 2015 Momma Robin feeds her babies worms. 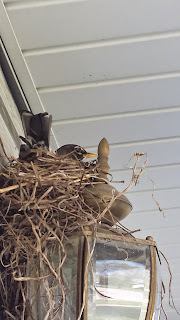 May 26, 2015 the baby birds are one week old.